1. Submissions are open to all artists in Australia who make prints. Work submitted must be print-based (lithograph, etching, screenprint, lino/woodcut, monotype or digital print etc), and must be 50cm x 50cm. Works outside of this dimension will not be eligible. 2. Artists may submit one work only. 3. 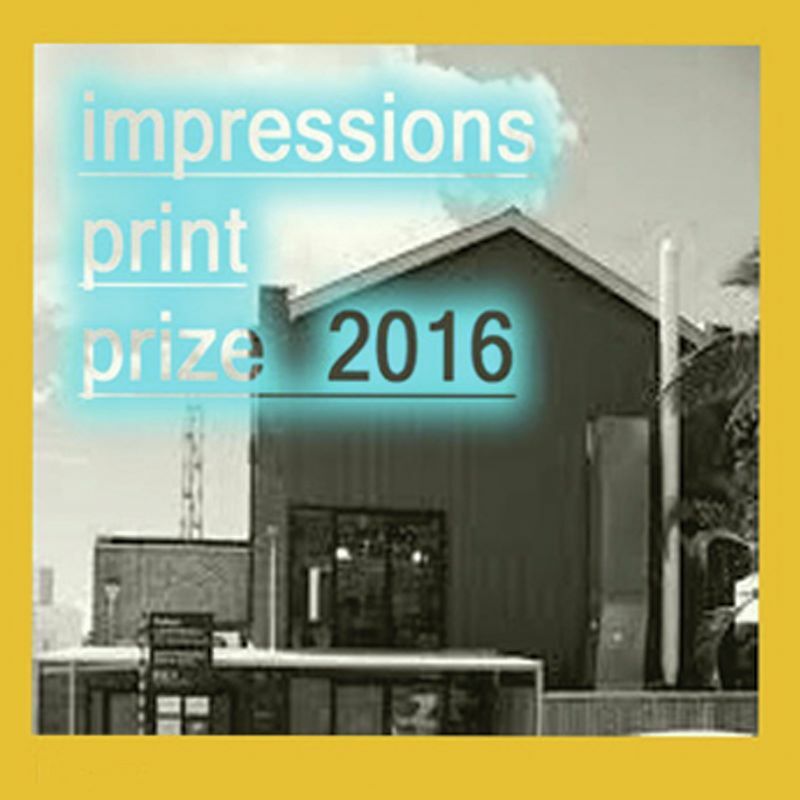 A non-refundable entry fee of $40 applies to members of Impress Printmakers Studio & Gallery, or $50 for non-members. 4. Applicants must have a current email address as all correspondence will be via email. 6. There is no limit on edition numbers, works can be of a unique state. 7. Entry Form submission has been extended to 5pm Friday June 10th, EST (Brisbane time). Entries received after this time will not be accepted. 8 . Artwork must be delivered unframed to Impress Printmakers Studio and Gallery between 11am and 4pm Saturday June 18th 2016. All works must arrive in full by this date to be eligible for judging. 9. Work should be unframed and appropriately packaged to prevent damage during transport and storage. 10. Artists will be responsible for the safe transport of work to and from Impress Printmakers Studio and Gallery, and will be responsible for their own insurance during the transit and exhibition period. 11. Impress Printmakers Studio and Gallery will take 20% commission from all sales made during the exhibition period. Friday June 10th 2016 - Entry form, Payment, Artist Bio, CV and up to 3 high resolution images. Copy / Paste Artist Statement from a word document that is a maximum size of 150 words. It will fit. Copy / Paste Artist CV from a word document that is a maximum size of 1 x A4 sheet. It will fit.